Our most popular whiskey, Whiskey Discourse C is back this Small Business Saturday, November 24, 2018 at the distillery! Whiskey Discourse C (2018 edition) takes our 93-point, gold medal (SF International Spirits Competition) Waitsburg Bourbon Whiskey and finishes it for an additional year in 60-gallon French oak barrels from a 100-point Washington Cabernet Sauvignon producer. 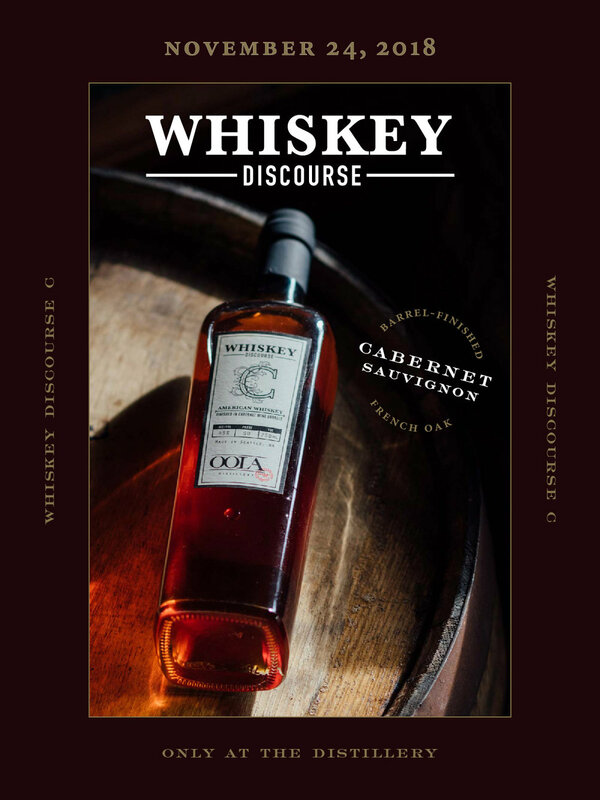 Only two barrels available in the 2018 release of Discourse C.
Whiskey Discourse C, 90 proof. Only available at the distillery.